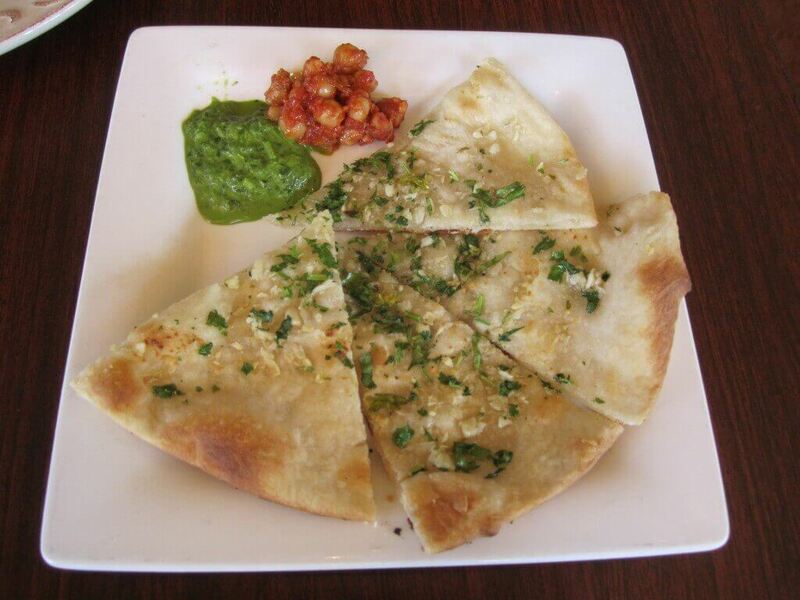 Let my visit to Bombay Bistro be a lesson to you about the power of enthusiasm. I had been to this place before and loved it, so when we sat down I immediately made a statement about how very excited I was about my impending meal. A restaurant owner happened to overhear and told me that usually, his customers were less expressive. Why? I don’t know. The food here deserves loud affirmations of its greatness. As a reward for being his number one fan, my dining companion and I were treated especially well, and a complimentary chai kicked off our meal. 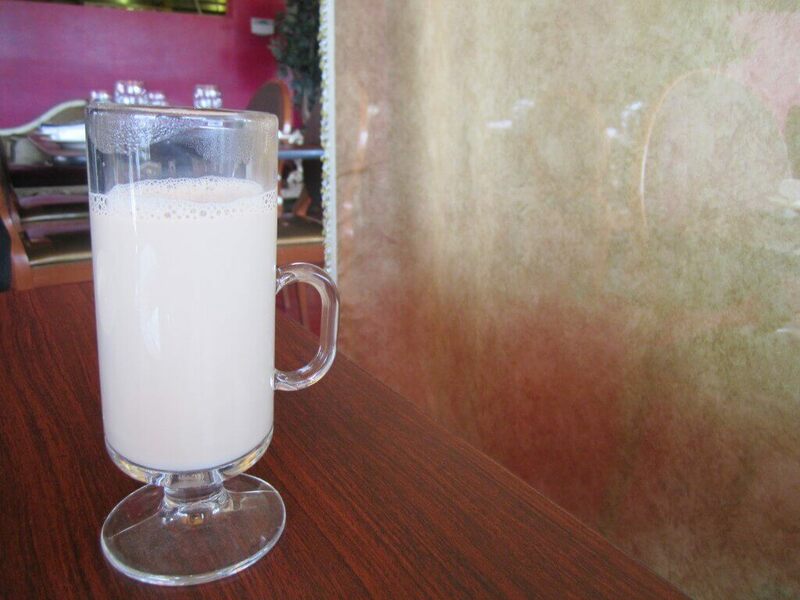 The warm tea, creamy and sweet, made for a nice accent to the comfy interior of the restaurant, which is decorated with lots of sheer curtains and soft pillows in bold prints. Naan came next, and this variety seemed a bit different than most naan I’m usually served. Small with a slightly crispy underside, the bread lacked a fluff factor, but I still enjoyed it and especially liked the chickpea-based dip that accompanied it. 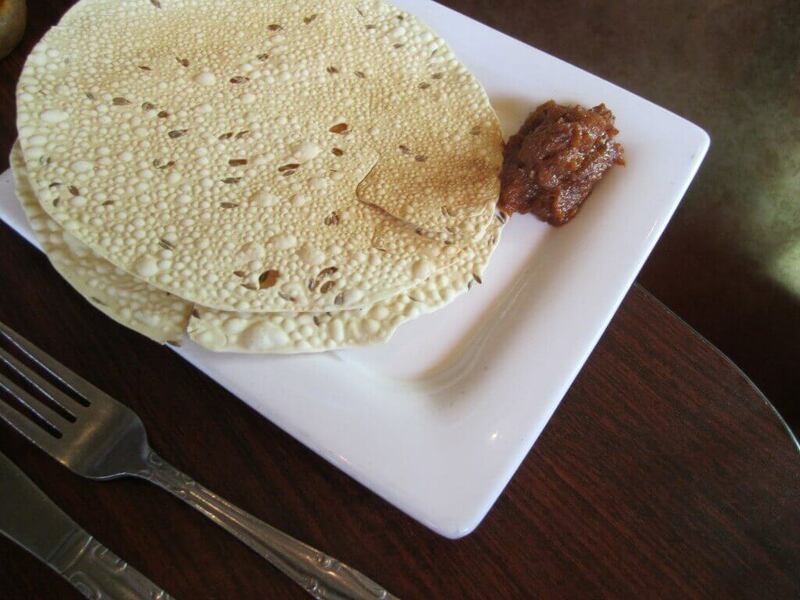 Because no bready appetizer should go untasted, we also got an order of pappadum, which is my personal favorite Indian appetizer. I even like it more than naan, which probably seems blasphemous to some, but something about its aromatic flavor gets me every time. I want to say it’s more complex in taste? Let’s just go with that. I’m very complicated. 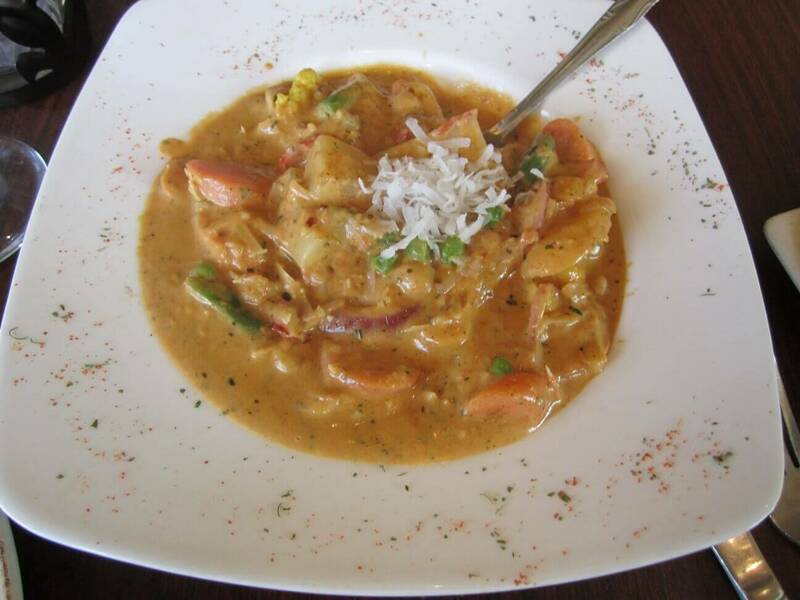 Every time I visit Bombay Bistro I get the vegetable korma, which is veggies, chickpeas, and rice in a light coconut milk-based curry sauce. The dish’s sweet flavor comes from the coconut and the lack of heavy spices. I love it, but if you want your eyes to water, I would suggest ordering something else. Our feast came to a close with another gift: free bites of dessert. 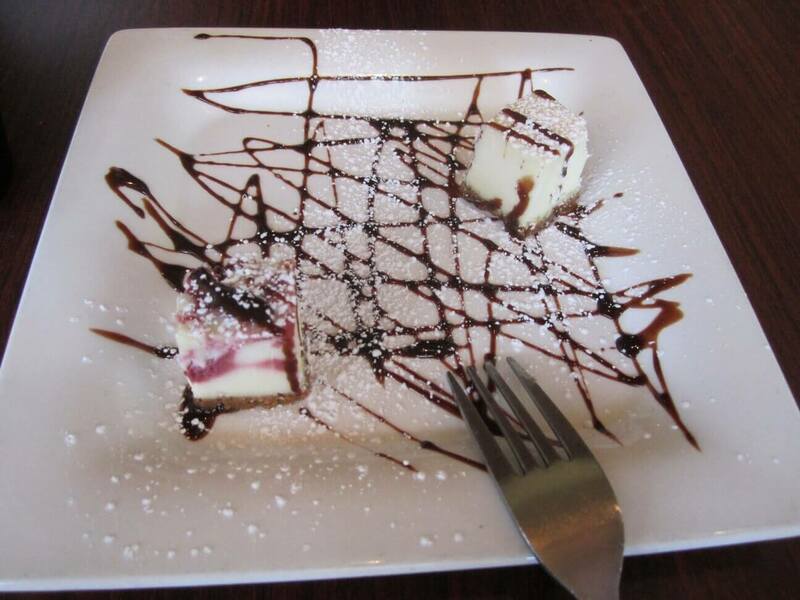 The cheesecake tasted light but rich, and after a drink, appetizer, and entree, decidedly made our dinner a complete meal. And to think it all happened because of a simple statement demonstrating my borderline obsessive love for Indian cuisine. So people, never silence yourselves! Good things come to those who eat.